What challenges did you observe in Belize that can/may hamper global health efforts? How, why? 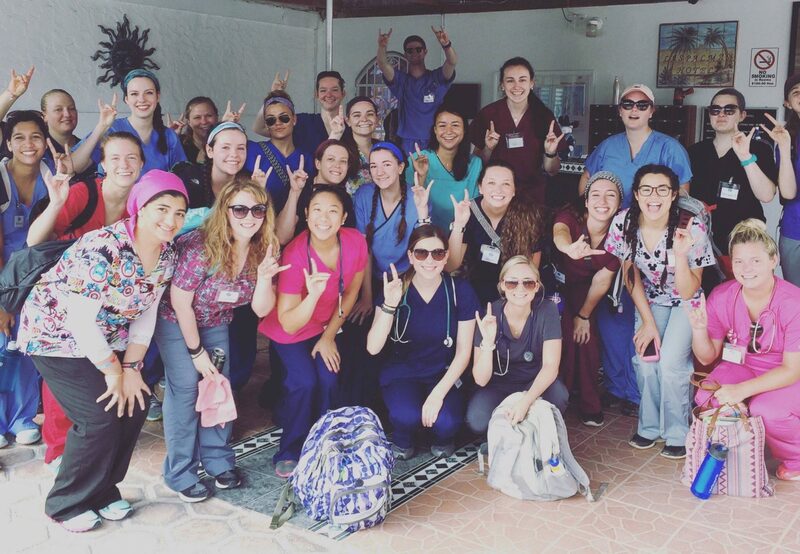 We faced many challenges during our time in Belize that would hamper global health efforts. The one that stuck out to me in particular as being a huge hindrance to global health efforts is patient accessibility and geographic location. In Belize, public health care, like at the Corozal Community Hospital is free. This includes treatments, medications, and services. For people living in rural areas of Belize with little to no money, this is a wonderful service to have access to. However, the issues I saw arose when I realized how far away some of these people live to any sort of health care facility. Without a car or any money to take transportation, it is not feasible for people to walk or even bike hours to get medication or treatment each month. I noticed when obtaining patient history that many people knew they had a chronic illness like diabetes or high blood pressure, but they weren’t taking any medication for it. I had a patient whose blood pressure was 210/50, and know of another patient whose blood glucose was over 500. These are deadly numbers, but unfortunately they both said they had no way of obtaining their medications. Even though I was very happy to help however we could, handing out 30 days’ worth of a prescription didn’t seem like enough to me. I wondered, were they ever going to get more medicine after these 30 days? This can’t be sustainable if they don’t have a way of getting more medication. It was very frustrating to me to feel like I couldn’t help in any other way. Another challenge I observed is the living situations some of the people of Belize are in. For example, some families had 1 or 2 rooms in the entire house with 8-10 people living there. This causes huge issues in terms of illness because if one person gets sick, everyone is likely to get sick. It also creates a good environment for bacteria to live in when you mix heat, lack of water and clean food, and sanitation into the mix. Many of the people we visited did not have a source of clean water to drink from. A lot of families had buckets outside that collected rainwater. The water sitting stagnant in that bucket is likely to cause bacteria to harbor. An unprotected well, which many families had, will unfortunately do the same thing. Sanitation is a huge problem for many people, especially children. I often saw children playing with the wild dogs/pigs outside and then stick their fingers in their mouth and eat food. This is something that isn’t taught to children and the parents don’t know how dangerous it could be. These issues with sanitation can hamper global health efforts because you could provide all the medical care in the world, but if their living and sanitation habits don’t change, they are just going to keep getting sick. The real change needs to come culturally or in way that allows these people to get better housing conditions. Changing culture can be difficult to impossible, which is why this would hamper global health efforts.